Miuccia Prada ditched Steven Meisel as Prada’s campaign photographer back in 2016 — and our forum members are still not over it. Meisel’s replacement has been Belgian lensman Willy Vanderperre, who’s been capturing Prada’s collections for the past two years and, while some hit the spot, most have been pretty disappointing (see the Pre-Fall 2018 and Fall 2018 campaigns). Vanderperre now returns for the recently unveiled Resort 2019 spot starring models Sora Choi, Freja Beha Erichsen, Maaike Inga Felderhoff, Lineisy Montero, Julia Nobis and Anok Yai, captured in a psychedelic studio setting. For the majority of our forum members, the campaign was just more of the same. “Cool but lifeless. 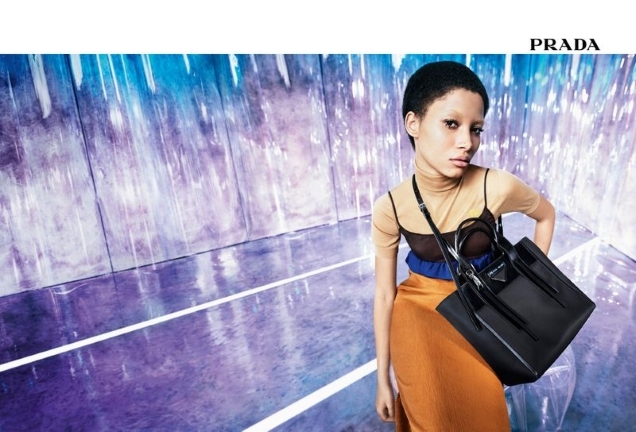 In general, Willy’s Prada campaigns just fail to move me. Wish they could just go back to Meisel,” said Ed. “I like Willi’s aesthetic but not for Prada, that’s the difference between him and Meisel. Meisel works for many brands and makes very different campaigns. Willy does the same for all the brands and editorials. Bring Steven back! !” protested zacatecas570. “I think what I miss the most from the Meisel era is the versatility in terms of interpreting the Prada aesthetic. Meisel campaigns were different from seasons to seasons and offered a different range of models,” Lola701 chimed in. “I like the setting but that’s it. With Willy being a one-trick pony, people seem to take what they can get from Prada. The bar is on the floor,” said Malaya. Yet not everyone was disappointed. “Beyoooond! This and the Fall campaign have been by FAR the best ones Willy has produced for the brand. Perfect for a Resort campaign, vibrant, straightforward, psychedelic and desirable. Bravo Miuccia and the team,” applauded Riseup. GivenchyHomme felt the same way. “Straight, simple, and to the point. I’m very impressed. It’s quite fun and colorful, it feels more Prada than anything he’s shot so far. I wish they were smiling in some of these. Beggars can’t be choosers I suppose,” he commented. Check out more campaign images and join the debate here.